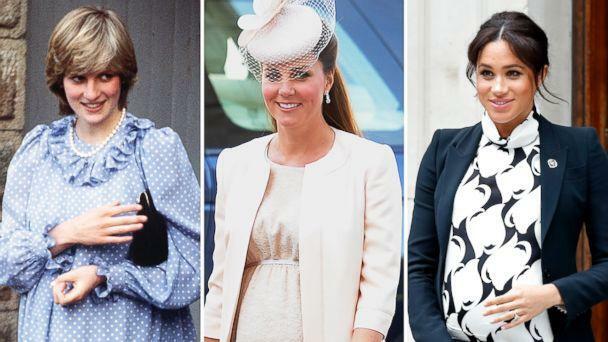 Meghan, the Duchess of Sussex, has faced the same fashion scrutiny during her pregnancy as two high-profile royal moms before her, Duchess Kate and the late Princess Diana. 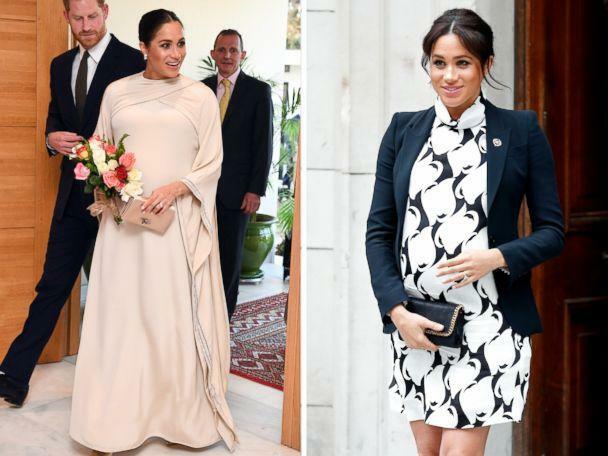 Meghan, her sister-in-law, Kate, and her mother-in-law, Diana, have each taken on the double duties of dressing for official events and dressing to accommodate their growing baby bump. Kate, a mother of three, was guided during her pregnancies by her trusted stylist, Natasha Archer, who is now out on maternity leave of her own. 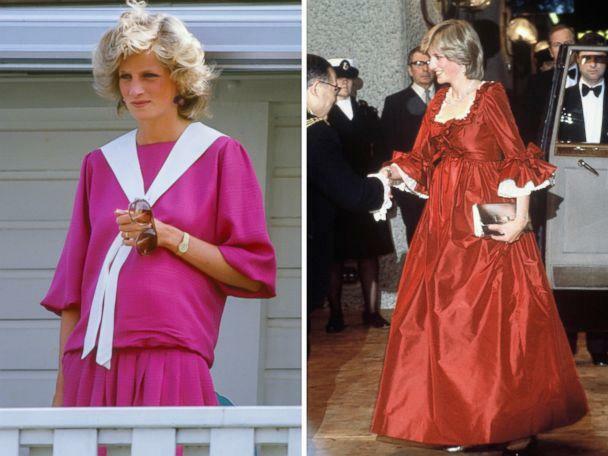 Diana was also known to employ the help of stylists and had dresses specifically designed for her during her pregnancies. Meghan, according to at least one friend, is her own stylist. "Except for her wedding, she does all her own makeup. Dresses herself, styles herself," the unnamed friend told People magazine. Meghan has been spotted during her pregnancy wearing jewelry from Diana's collection -- including an aquamarine ring and butterfly earrings -- but her style is different than that of Diana's and Kate's, according to Victoria Murphy, ABC News royal contributor. "Meghan very much has her own style ... and she also chooses different labels," Murphy said. "She has turned to her wedding dress designer Givenchy for pregnancy style and has also worn outfits by Erdem and Victoria Beckham during her pregnancy as well as Canadian brand Sentaler. "She doesn’t seem to have gone for many maternity brands or ranges -- which is a contrast to Kate who wore a lot of outfits from maternity brand Seraphine throughout her pregnancies," she added. "But as well as the high-end fashion Meghan has championed the high street, choosing a dress from very affordable store H&M for a first visit to one of her patronages." Take a look at the differences in the style of these royal moms.